27th January 1945 was a momentous day in history. 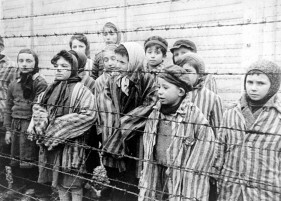 70 years ago today, Soviet forces liberated the notorious Auschwitz concentration camp. The liberation of Auschwitz was a red letter day after the genocide of 6 million Jews, 1 million from the travelling community, 250 thousand people with disabilities and 9 thousand homosexual men by Nazi forces.